100 Applicants for One Position? 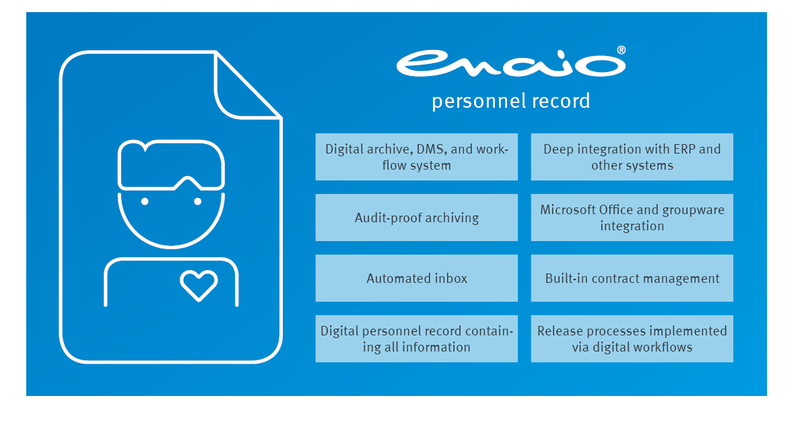 The applicant management solution supplements enaio® personnel records by adding functions that allow your HR department to more easily select and hire employees. 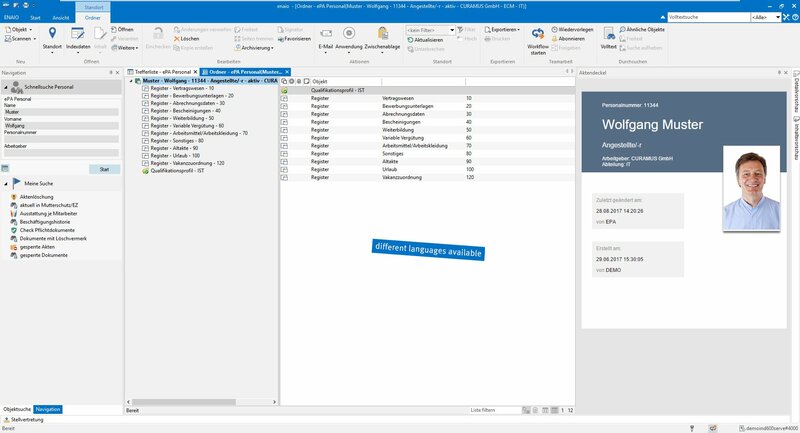 Applicant data is captured and managed in an HR repository. If an applicant is deemed qualified for a position, a workflow can be launched which supports the process of hiring the applicant, from the time of the initial job interview until the employment contract is signed. This allows for the electronic administration and execution of the entire selection process – without any unnecessary media disruptions. The HR employee maintains a constant overview of all applicant data and any events carried out as part of the selection process. At the core of the solution is a digital record which contains the collected data and documents on the applicant. This could include, for example, contact information as well as personal data. As the first step in the process, the validity checks stored in the system allow for an initial preselection of candidates based on defined criteria regarding their suitability for the job. All evaluations, statistics, analyses, and other results are available in a single view. Templates and form letters are a practical way to optimize correspondence with applicants. Sensitive data is treated confidentially in accordance with the data protection regulations. The digital personnel record compiles all important facts and information on the applicant for HR employees. This ensures seamless processes throughout the entire application process. 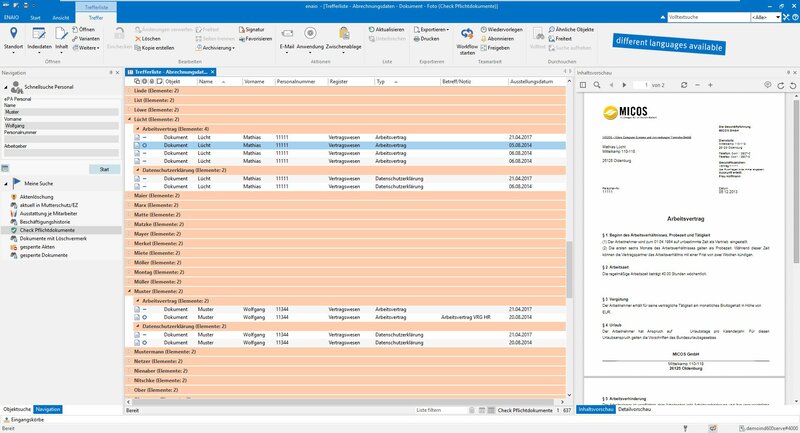 Electronic workflows help to significantly reduce the administrative burden on staff, and templates and mail merge functions assist in correspondence with candidates. Interfaces to e-mail and calendar services help with the scheduling coordination for interviews, assessment centers, or trial days. It is also important to consider the legally compliant retention periods for the certificates and CVs of rejected applicants: documents as well as the associated personnel records must be deleted irrevocably in accordance with data protection regulations. Employees were initially hesitant to perform administrative work without paper records. Just a few weeks after the solution was rolled out, however, we were already receiving positive feedback. All documents are immediately at hand. Thanks to rapid access to the personnel record directly at the workstation, employees no longer shy away from checking again when in doubt about something.